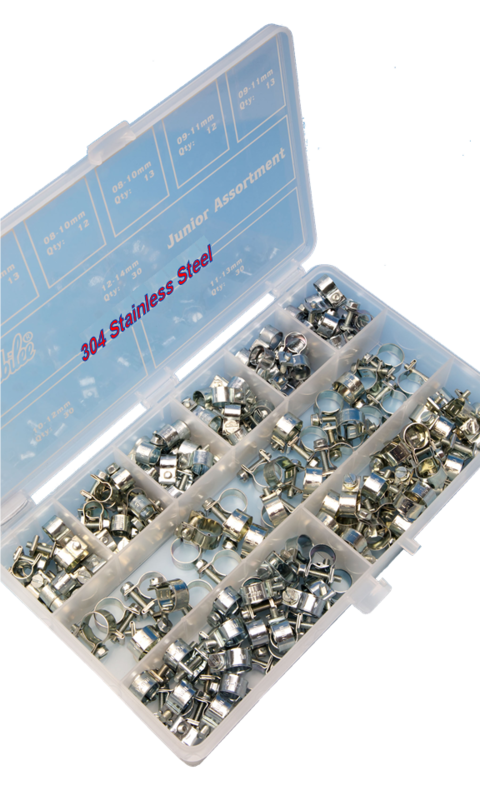 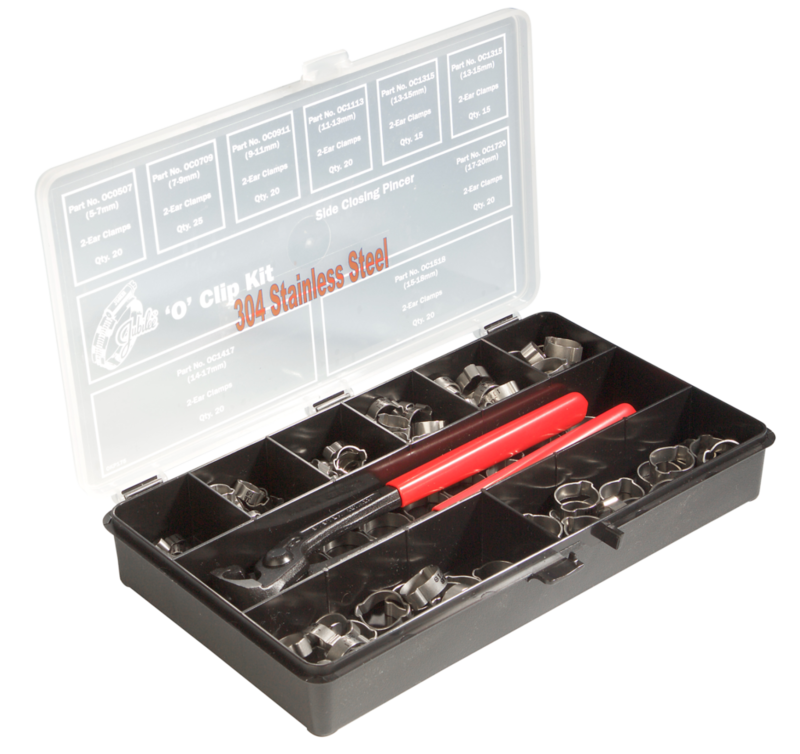 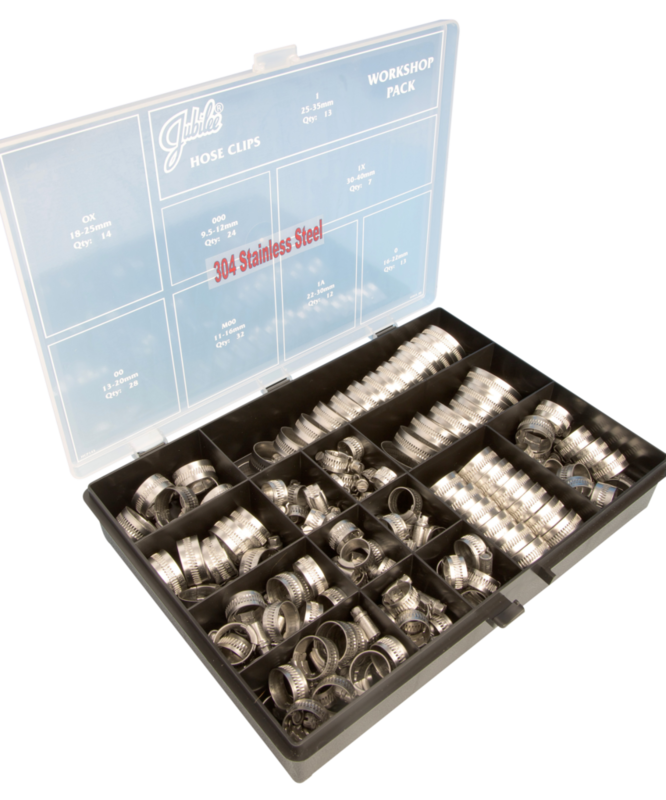 Jubilee ‘O’ Clip kit comes with 175 assorted 2 ear 304 grade stainless steel ‘O’ clips and a pincer tool for securing the clips (to order without a pincer use code OK175SS). 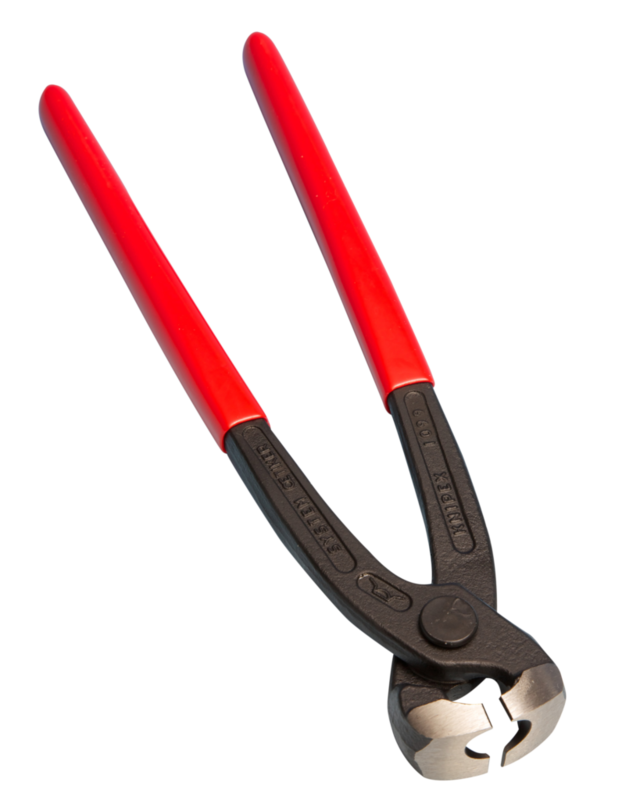 Also available with mild steel ‘O’ clips with or without a pincer tool (OK175MS or OKP175MS). 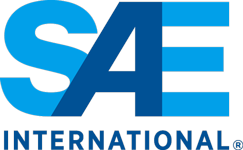 SAE J1508 Surface Vehicle Standards-Hose Clamp Specifications, Type TE is referenced in the quality control methods for the design/manufacture of the Jubilee 'O' Clips Range.